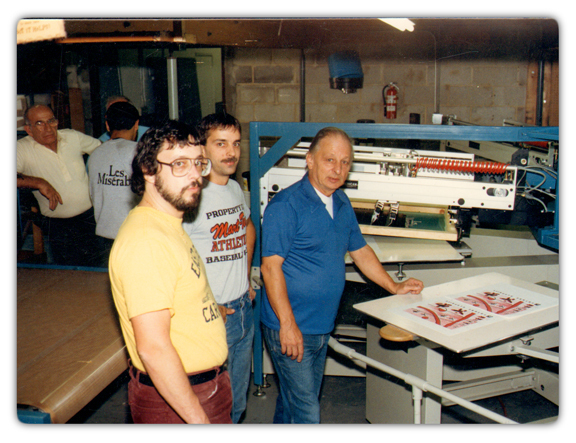 Ray Marte Sr. entered the screen printing business in 1948 with Empire State Display in New York City, working as a skilled tradesman doing hand film cutting for flat stock. (posters, post cards, decals, etc.) In 1976, after many years in the industry and the graduation of his son Rich from high school, Ray Sr. decided that his talents as a film cutter were going unnoticed to his boss and decided to venture out with the help of his sons (Ray Jr. and Rich) in search of more security for himself and his family. 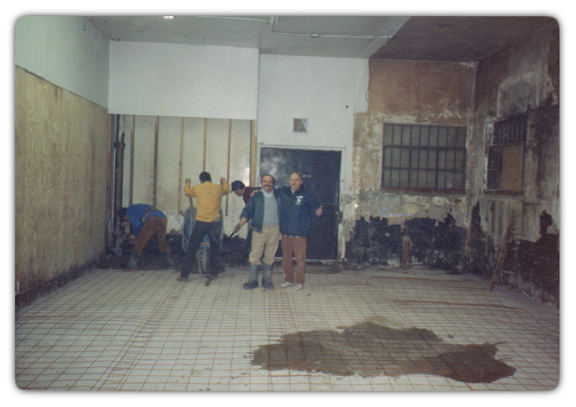 Mart-Tex started in the basement of a small house in Rosedale, Long Island with purchase of a small dryer and a manual press built out of scrap lumber. Originally, all of the business' printing was on sport uniforms for local shops, thus the "Athletics" in the company name. Within a short two year period it became necessary for expansion, and the operation was moved into its first real building in Valley Stream, Long Island (a whopping 900 sq. ft). The next two years were spent adding some much needed equipment (a real manual press and camera). When the building lease was close to expiration it became obvious that the company had a solid foundation to build on and decision was made to move again into a larger building in Elmont, Long Island (2200 sq. ft). Once settled into the new facility, the direction of business shifted and necessitated the purchase of automatic equipment. In 1991, as the volume of orders grew, the company needed more space and again moved to a larger facility in Farmingdale, Long Island where it now remains. It has been approximately 15 years since the purchase of that first automatic in Valley Stream. The company now owns twelve automatic presses producing about 33,000 pieces per day in a facility spanning 2 buildings for a total of 37,000 square feet. 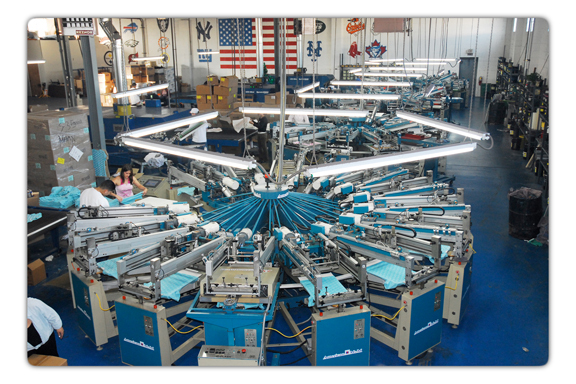 Mart-Tex now has 45 employees and is one of the largest textile printers on Long Island.